Claudia Betancourt is a Director of Investor Relations at Civitas Capital Group and is responsible for building the market for Civitas’ alternative investment products among high net worth individuals, family offices, and institutions around the world and coordinating within the Company to develop relevant products and services to meet the demands of these clients. Claudia Betancourt has thirteen years of global experience in private equity, investment banking and business development. Previously, Claudia was Managing Director at Commerce Street Capital (CSC), a provider of capital to middle-market companies and alternative investment opportunities for accredited investors. Prior to joining CSC, Claudia worked as a Managing Director of a boutique private equity firm and was in charge of the international portfolio and operations in South America. She was responsible for origination, negotiation, and transaction execution of companies in real estate, technology and mining. She also served as Sr. Vice President of Development at Best Associates, a private equity and venture capital looking to acquire higher education institutions in Latin America. 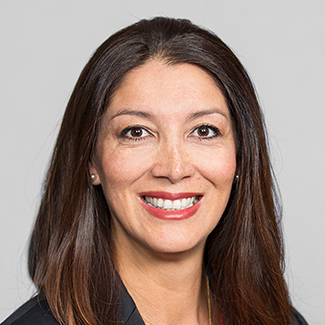 Claudia began her career in private equity in 2004 when she joined Harwood International, a luxury commercial and residential development company in Dallas. As a Vice President of Equity Investments she was responsible for coordinating a $500 million capital raise program for domestic and foreign portfolios. Claudia received her B.S. in Economics from Universidad Catolica Boliviana, her M.B.A. from The University of Oklahoma in 2002 and a Masters of Science in Petroleum Economics and Management from the Institute Francaise du Petrole in 2003.